alaTest has collected and analyzed 246 reviews of JVC GZ-HM30. The average rating for this product is 4.1/5, compared to an average rating of 4.0/5 for other Camcorders for all reviews. People really like the price and size. The image quality and portability also get good opinions. The memory and zoom get negative views. There are some mixed reviews about the durability. We analyzed user and expert ratings, product age and more factors. 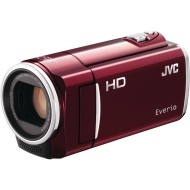 Compared to other Camcorders the JVC GZ-HM30 is awarded an overall alaScore™ of 81/100 = Very good quality. alaTest has collected and analyzed 1 user review of JVC GZ-HM30 from Amazon.co.uk. The average user rating for this product is 5.0/5, compared to an average user rating of 4.0/5 for other Camcorders on Amazon.co.uk. Reviewers are impressed by the portability, but there are some negative reviews about the battery. What's special about JVC's new budget contender? Very light and easy to carry in your pocket. The picture is so clear and crisp. Very easy to opperate the camea, mean I ued the camera before looking at the instructions. Down loading to a disc takes quite a long time. And not the easiest instructions to follow during down loading. good points picture quality spot on. Easy to use very light and compact . Bad points battery life not to good only a 1 hr with continued use. no sd card ,carry case,or midi hdmi cable have to buy seperate and can be expensive.